A Nigerian Kora player, a South African composer, a Kenyan master of ceremonies and Western Cape Premier Helen Zille were among musicians, VIPs and invited guests gathered at Iziko Museum in Cape Town to listen to “new classics” in celebration of the 54th anniversary of Africa Day on Thursday. 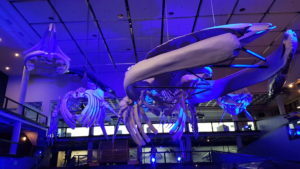 After being warmed up by a few jazzy numbers played by young musicians from Kronendal Music Academy in Hout Bay, which features youngsters from the community of Imizamo Yethu informal settlement and Hangberg, the audience was moved to seats under a collection of whale casts and skeletons in Iziko’s “whale well”, for the main show. A few jokes were made about this Jonah-esque setting before the audience was treated to a varied and moving selection of music, both ancient and brand new. Soon no one even noticed the enormous skeletons suspended above. The programme included world premieres of new compositions by African classical music composers Tunde Jegede, from Nigeria, and South Africa’s Bongani Ndodana-Breen. The new, challenging scores were performed enthusiastically and elegantly by the Africa Arts Ensemble Noir, a chamber orchestra of 15 players from Cape Town with soprano soloist Amanda Osorio. The showcase of classical music infused with ancient African tradition was the culmination of a series of concerts and public dialogues presented by Africa Arts. The series, titled Africa Connections, was aimed at fostering a new understanding of Africa and breaking down cultural paradigms about classical music. 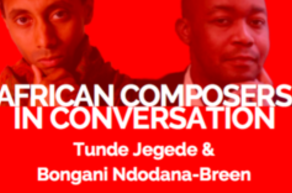 Africa Connections has allowed audiences at a variety of venues in Cape Town to engage with Jegede and Ndodana-Breen on the subject of how their African roots and the continent’s classical traditions have impacted their work as modern composers. 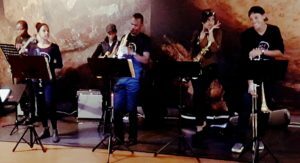 Ndodana-Breen said on Friday that the Africa Day concert was also about re-imagining how we look at African creative expression. “We need to go beyond the stereotype of what African music is, locked in the ‘tourist curio’ realm of drums,” he said. 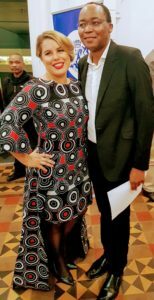 Soprano Osorio, who is also co-executive director of Africa Arts, said she was thrilled about the response to the organisation’s collaboration with the office of the premier of the Western Cape Government and Iziko Museums. She said the event showed that there was a hunger in Africa for classical music experiences that showcased the talent on the continent and celebrated inclusivity in the arts scene. Ndodana-Breen added: “Africa has ancient traditions, as we saw in Tunde Jegede playing the Kora but also it has modern artistic expression just like Europe or Asia. In honour of Africa Month, Capetonians will this week get the rare opportunity to engage with two internationally-renowned classical composers and hear how their African roots and the continent’s classical traditions have impacted their work as modern composers. Africa Connections, a series of concerts and public dialogues, will showcase the classical music journey from ancient African kingdoms, such as Mali in the 12th century, to today. Presented by Africa Arts, the series is aimed at fostering a new understanding of Africa and breaking down cultural paradigms about classical music. Africa Arts Group is a registered non-profit organisation that produces “innovative opera and classical music projects that celebrate the rich and diverse creative talent of South African artists”. The concerts feature music by Nigerian kora master and composer Tunde Jegede, pictured left, and South African composer Bongani Ndodana-Breen, internationally renowned African musicians who have infused Western music with African traditions. 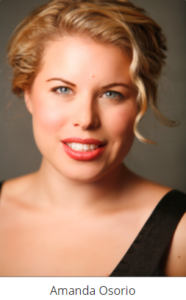 The composers have received international acclaim for works ranging from opera and chamber to symphonic music that are influenced by classical African cultures. As a composer, Jegede has worked with major orchestras, including the Royal Philharmonic Orchestra, the Philharmonia Orchestra, Britten Sinfonia and the London Mozart Players. Over the years, he has kept his creative diversity intact by working closely with singers, vocalists and spoken-word artists from a wide range of traditions, including opera, pop, R ‘n B, reggae, hip hop and jazz. 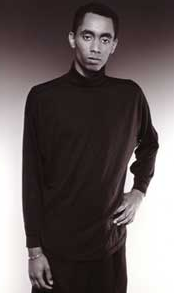 His own jazz ensemble, The Jazz Griots, was created to explore the connections between African and African diasporic forms of music and, in 1995, the BBC produced a television documentary, Africa: Remember, about his music. 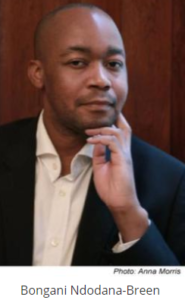 South African composer Ndodana-Breen’s music is a blend of African and classical styles and reflects on various scenes from his native Xhosa culture. He has received commissions from across the globe. According to The New York Times, his “delicately made music – airy, spacious, terribly complex but never convoluted – has a lot to teach the Western wizards of metric modulation and layered rhythms about grace and balance”. On Tuesday, May 23, the Institute for the Creative Arts at the University of Cape Town will present a rare opportunity to hear Jegede perform the kora, the West African harp-lute. The event will include a discussion and Q and A session with Jegede and Ndodana-Breen, who will be exploring African classical traditions and how they have impacted their compositions as modern composers. 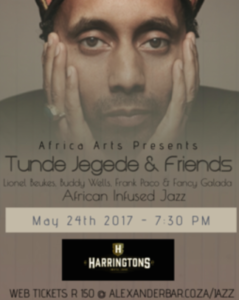 On Wednesday, Jegede will perform his original African-infused music with some of Cape Town’s leading jazz musicians at Harringtons Cocktail Lounge on Harrington Street in the East City. The series culminates with a gala event on Thursday, featuring world premieres of two new works by Jegede and Ndodana-Breen played by Africa Arts Ensemble Noir, a chamber orchestra of 15 players from Cape Town with the soprano soloist Amanda Osorio. The event, commemorating Africa Day, will also showcase young talent from Kronendal Music Academy in Hout Bay, featuring young musicians from the community of Imizamo Yethu informal settlement and Hangberg. The young musicians will entertain invited guests with lighter, popular African music. The event will be streamed live at www.africaarts.co.za at 7pm on the day and recorded for a later radio broadcast. Africa Connections is an Africa Month initiative curated by Africa Arts and presented in collaboration with the Western Cape Government, Iziko Museums of South Africa and the Institute for Creative Arts at UCT. 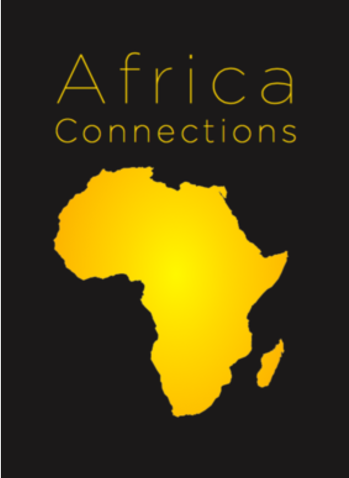 In addition to the live events, Africa Arts, in partnership with the Western Cape Government, will launch Africa Connections, a commemorative publication. The publication, to be launched at Iziko on Africa Day, May 25, is described as “highlighting the bonds between the Cape and the rest of the continent”.